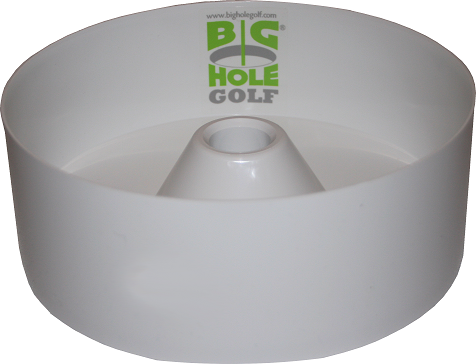 – Our NEW and improved Big Hole Golf Cups are designed and manufactured slightly wider than 8 inches. 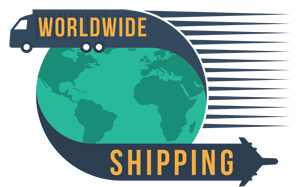 – The Big Hole Golf cups are designed with a specific tapering so they remain secure in windy conditions. 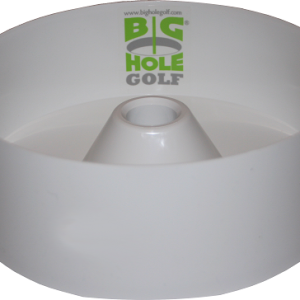 – The Big Hole Golf Cup is made of durable ABS plastic. We tested Big Hole Golf Cups made from steel, but we had too many issues with the ball bouncing out of the hole! The plastic golf cup offers a softer impact which allows the ball to stay in the hole. 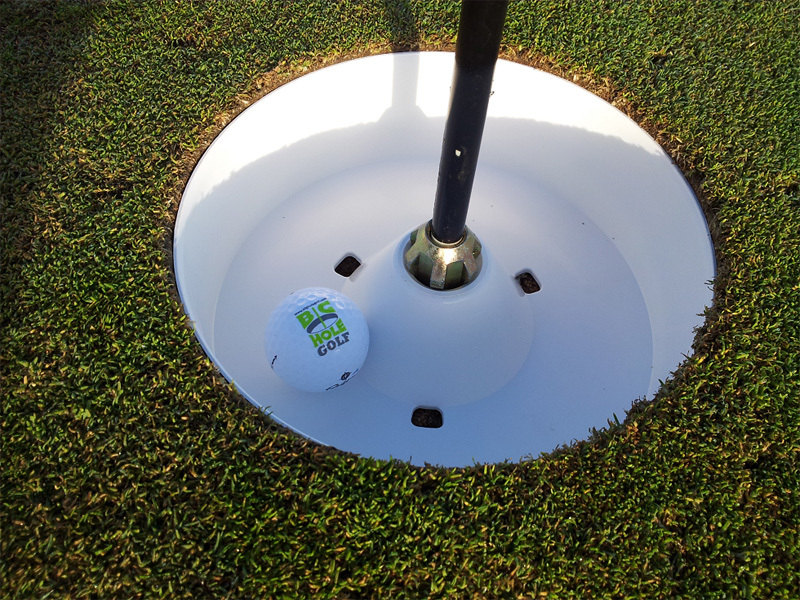 – The Big Hole Golf Cup can remain in the green when mowing or rolling. 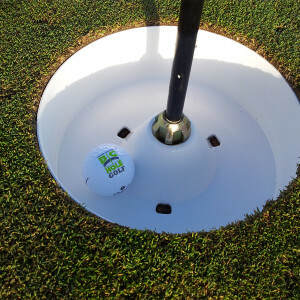 – For those golf courses that want to leave the cups in for along period of time, then the Big Hole Golf cover is ideal to compliment the use of the big hole cups.